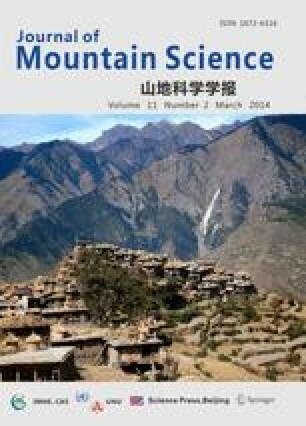 The studies on prediction of climate in Xinjiang almost show that the precipitation would increase in the coming 50 years, although there were surely some uncertainties in precipitation predictions. On the basis of the structure of glacier system and nature of equilibrium line altitude at steady state (ELA o ), a functional model of the glacier system responding to climate changes was established, and it simultaneously involved the rising of summer mean temperature and increasing of mean precipitation. The results from the functional model under the climatic scenarios with temperature increasing rates of 0.01, 0.03 and 0.05 K/year indicated that the precipitation increasing would play an evident role in glacier system responding to climate change: if temperature become 1°C higher, the precipitation would be increased by 10 %, which can slow down the glaciers retreating rate in the area by 4 %, accelerate runoff increasing rate by 8 % and depress theELA o rising gradient by 24 m in northern Xinjiang glacier system where semi-continental glaciers dominate, while it has corresponding values of only 1 %, 5 % and 18m respectively in southern Xinjiang glacier system, where extremely continental glaciers dominate.